So, this post is a little over due. I had intentions of sharing our Diagon Alley visit last fall, but I had way too many photos to weed through. Since Mariah is a huge Harry Potter fan, I wanted to capture every little detail in photos for her, and I ended up with roughly 700 pictures. 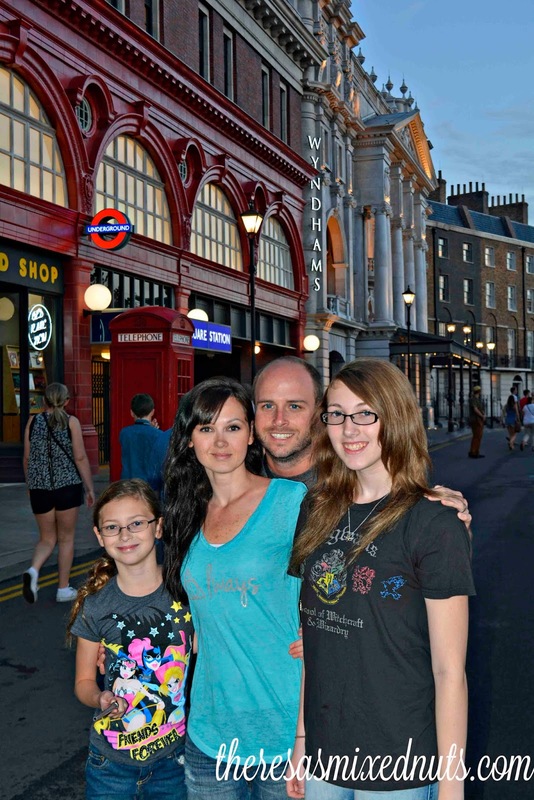 I crafted her a photo book from our first visit to Wizarding World of Harry Potter several years ago, and wanted to make another photo book for her birthday this year. 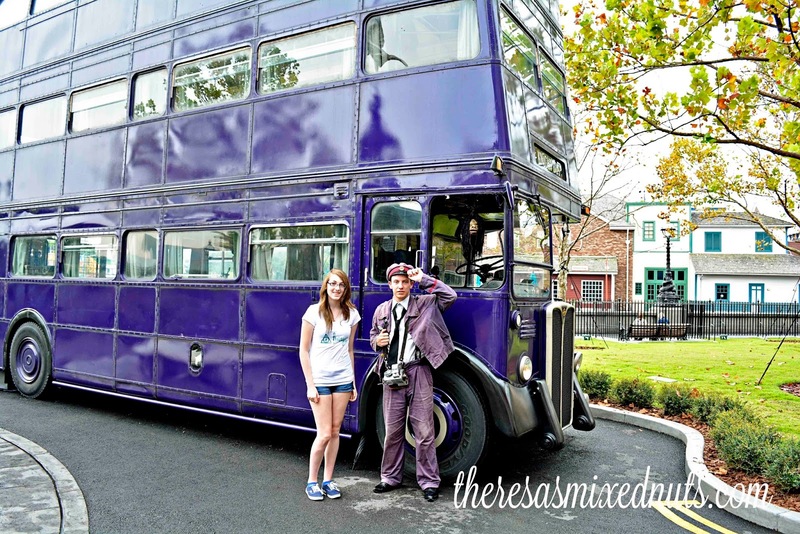 Before heading into Diagon Alley, you'll get the chance to take your photo with the Night Bus. There's a little bobble head guy inside the window, and behind the scenes, there is someone making him speak to all the guests. He's quite funny! 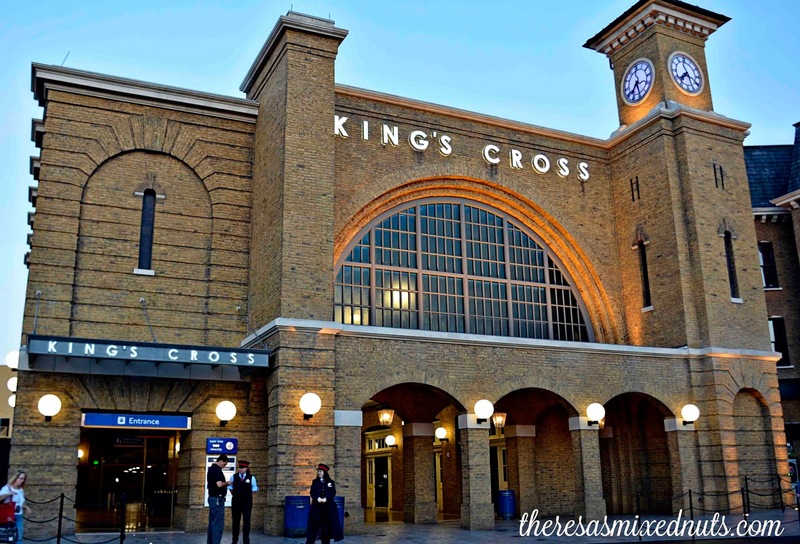 Through an opening in a set of buildings, you'll enter Diagon Alley, But first, check out King's Cross Station and Sirius Black's house. If you look up in the window to the house, sometimes Kreacher will make an appearance! 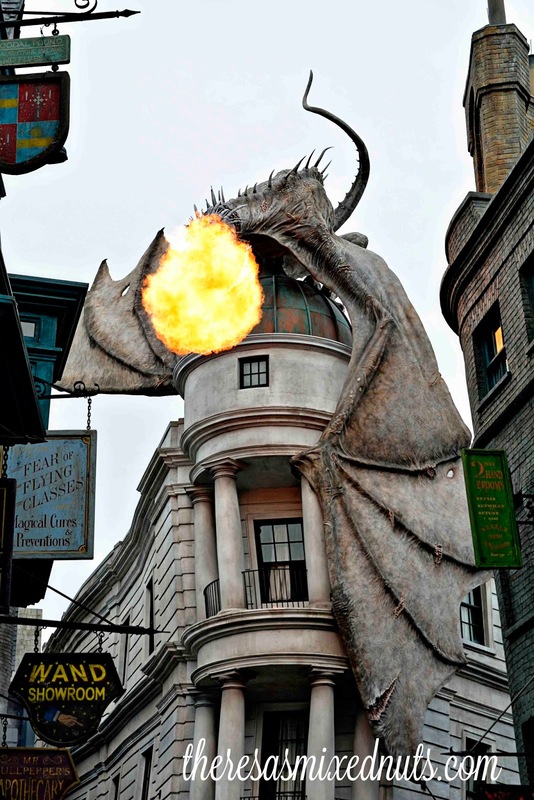 As soon as you cross over into Diagon Alley, you'll see the impressive fire breathing dragon on top of Gringott's. He roars and blows out a puff of fire every 5 minutes. Then, get lost in exploring the magical world of Harry Potter! 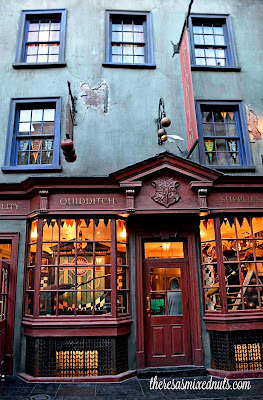 Our first stop was Quality Quidditch Supplies and Weasley's Wizard Wheezes. 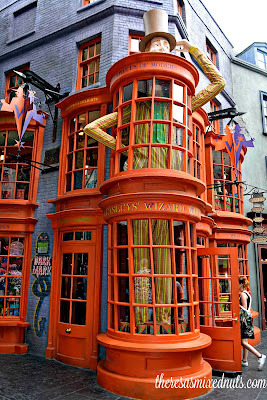 Mariah had most of her money spent in the Weasley's buying up snacks like U-No-Poo and Chocolate Frogs. 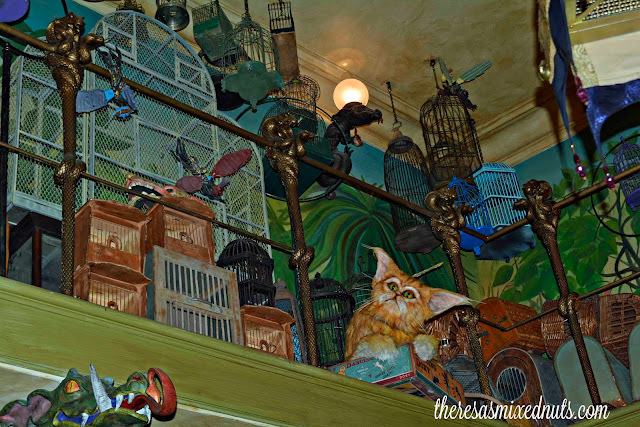 Allison had a blast shopping in Magical Menagerie. 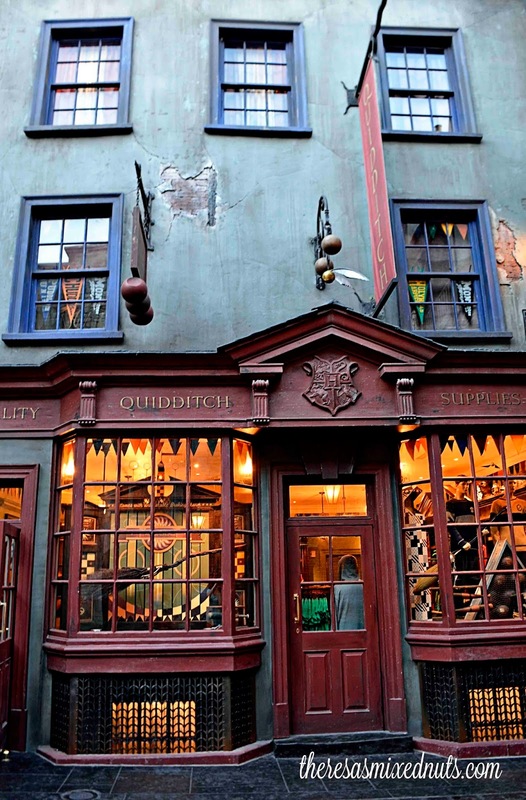 There you can buy plush of all your favorite magical beasts! 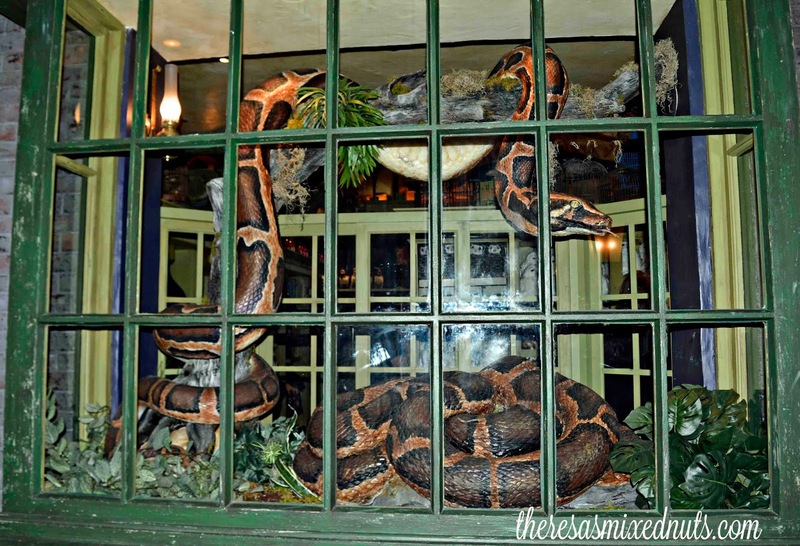 And, head to the back and get a glimpse of Nagini! 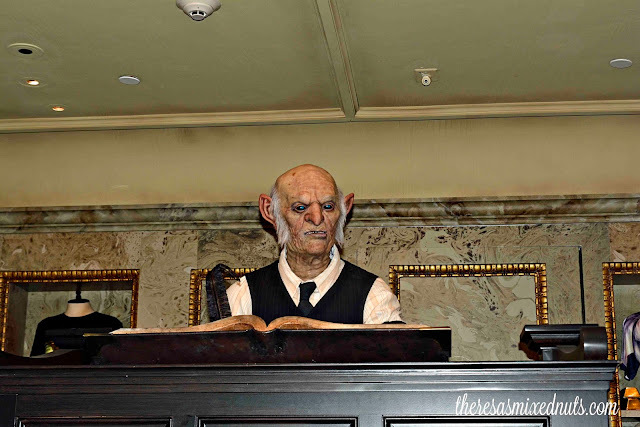 Expect to wait quite a while for the Escape From Gringotts ride. We waited about 2 hours to get on, but they did have plenty to look at to keep us entertained during our wait. Lack of benches and seating makes it really difficult to get in good photo opps at the popular spots, like in front of Gringotts Bank, so I suggest you seize the opportunity to get some snaps as soon as you see no other tourists resting on those spots. 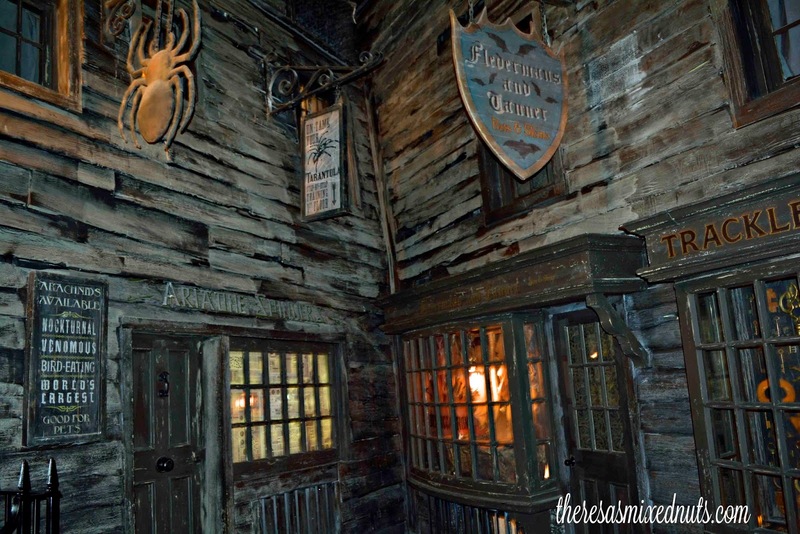 Cross over into the dark side, and explore Knockturn Alley. 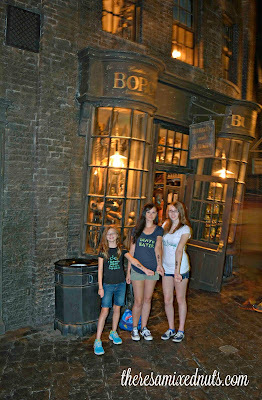 The girls and I had a bit of fun sporting some Dark Mark tattoos I made us before we went. 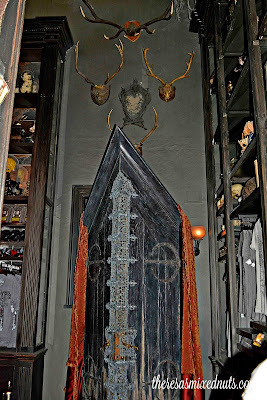 Check out the wardrobe in Borgin & Burkes, as well as a slew of other creepy treasures. 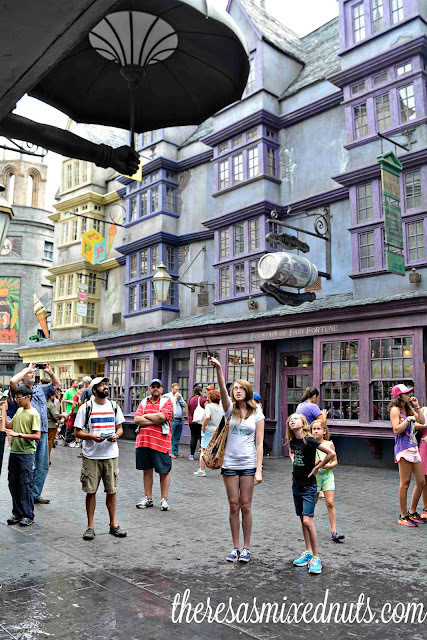 At Olivander's Wand Shop, you can buy a wand that will let you interact with special effects through the park. The wands are a bit pricey at $50 a pop, so the girls had to share one. The interaction is a lot of fun for the kids, but do be warned there are many adults who take more than their fair share of time at each stop, so you could be waiting a bit to use your wand when this happens. 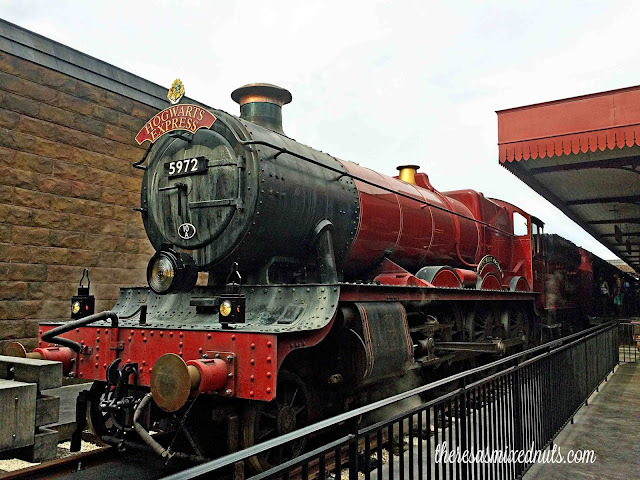 If you want to ride the Hogwarts Express, you'll need a ticket to Universal's Islands of Adventure. Sneaky, but brilliant way for them to get you to purchase admission to both parks. The ride lasts about 5 minutes, and the screen in the train cabin keeps you entertained during your ride. 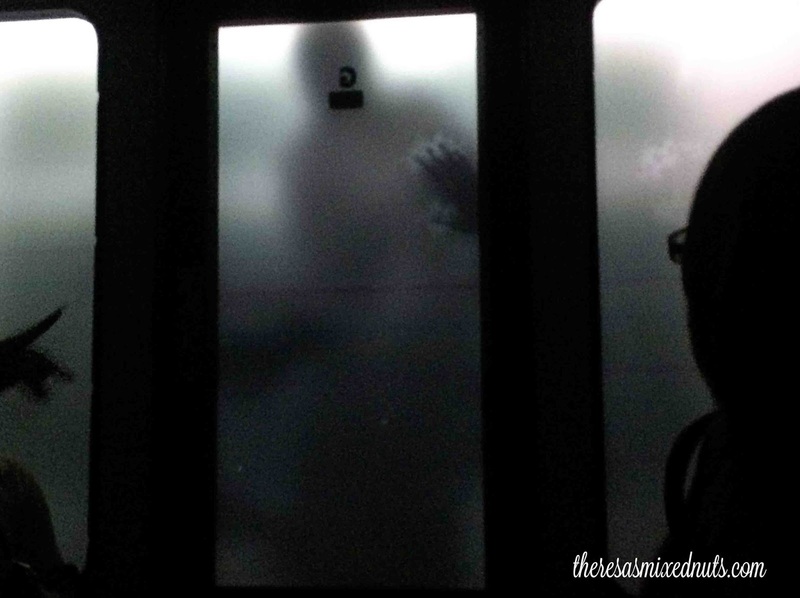 You also might get a visit from some Dementors! 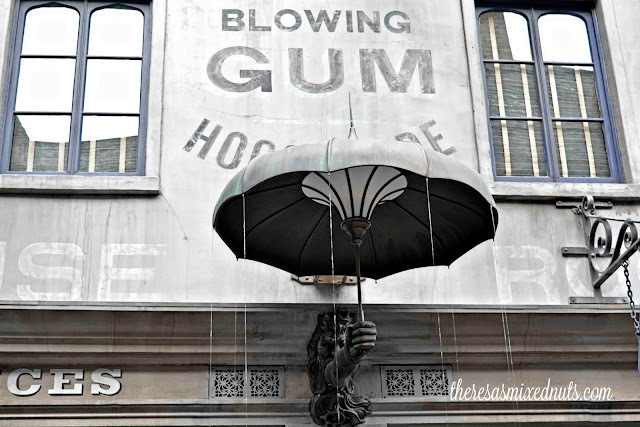 There are so many things to see and to at Diagon Alley, and we didn't even get to the dining options! Come back later this week and I'll fill you in! What area would you explore first in Diagon Alley? you are such a gorgeous family in that fifth photo! It looks like you really had some memorable fun! For HP fans, there are no words for the awesomeness of this. I was there in March and was in awe of the whole thing. I love the Harry Potter and agree - fans can't get enough. We were just talking about HP this past weekend and I need to make it to Orlando soon! Mica would flip for this! He loves Harry Potter. The books never scared him. I kept asking him if they bothered him. Nope! I have to watch for sexual content more than anything with him. 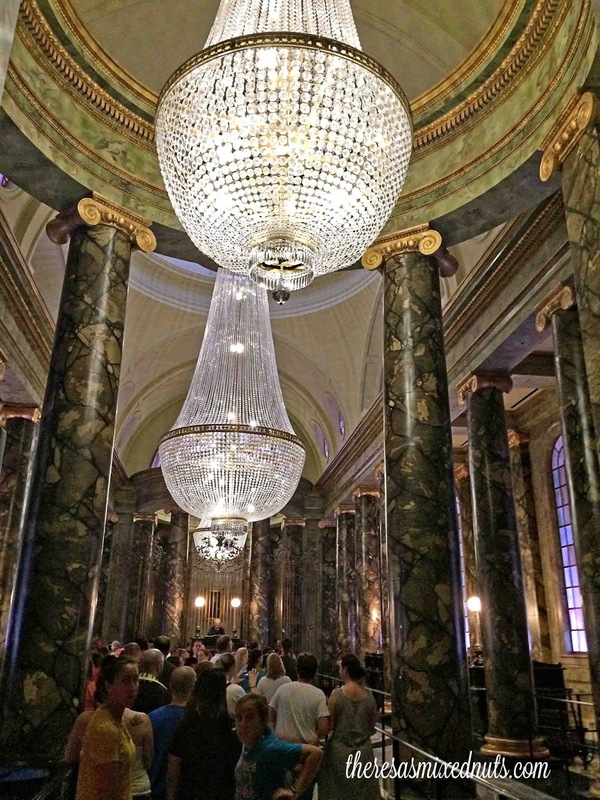 I never really got into Harry Potter, but this area looks amazing! 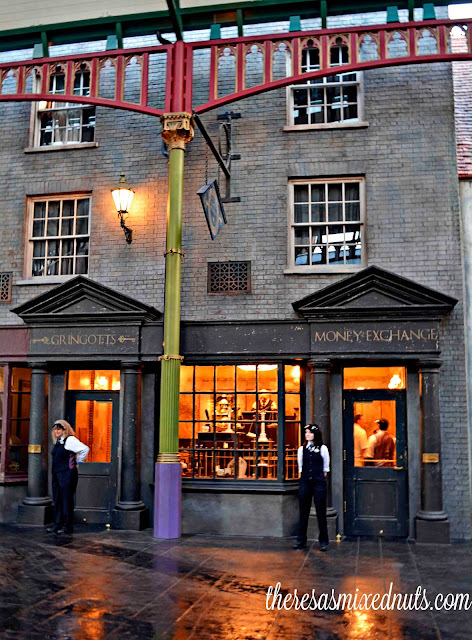 Diagon Alley is so amazing. I am a season pass holder and we go several times a month. I don't think I have a favorite area I love it all. My kids are huge Harry Potter fans. We've haven't been here yet, but after reading your post, I am adding it to our travel bucket list. We are huge Harry Potter fans and absolutely love this! I would love to visit all the time! As a big Harry Potter fan myself, I would love to see this. I will have to add it to my bucket list and hopefully get there some day! Yes I am an adult with no children and yes I did end up reading the entire book series. I had picked up one and started reading it on the store and almost finished it-then felt bad and bought it. Would I like to go there--most certainly!! I know I would enjoy it as much as any of the kids that are there! How awesome! The kids and I have read all the Harry Potter books more than once. That looks like so much fun! They did a great job replicating the scenes from the movie. I was so looking forward to visiting the wizarding world this past February, and then I came down with the flu. 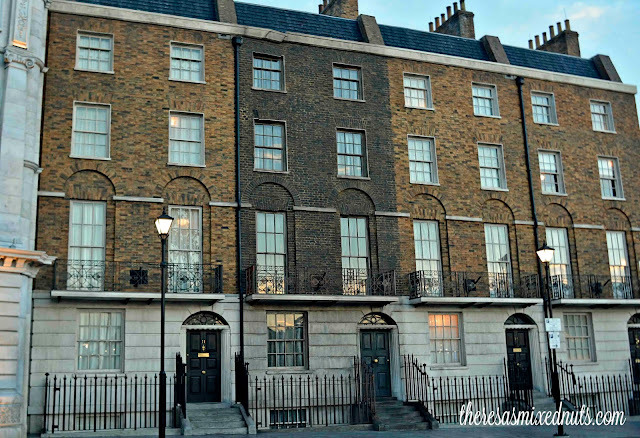 I have friends who have visited and absolutely loved it! You are such a sweet Mom to your kids. How excited she must have been to get this photo book. Oh my goodness, this post really makes me want to go visit the Wizarding World of HP! We loved the books for sure, as well as the movies. 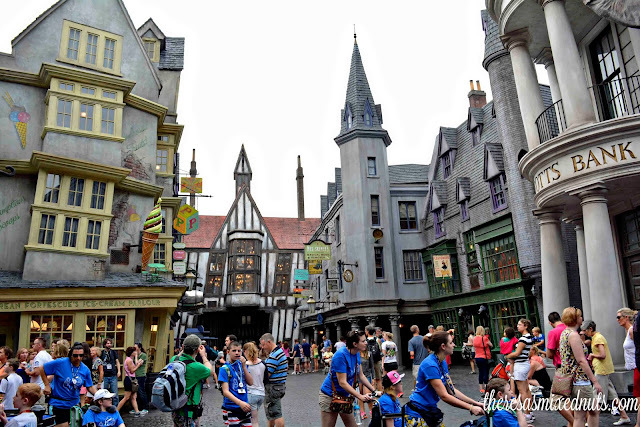 I'd hunt down some Butterbeer asap! That sounds like so much fun! 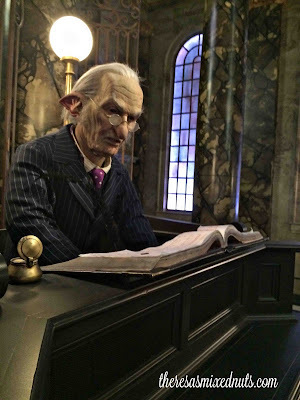 I went to the Wizarding World a while ago with my daughter and she was pointing out things she remembered from the books! I'd love to go back! I love this extensive tour! We've talked about going before but my kids were concerned it would take some of the magic out of their experience of Harry Potter. I think this looks so authentic they'd love it! This looks amazing! I am hoping to get to see it in person next year. I have not been to Disney since i was a little girl. 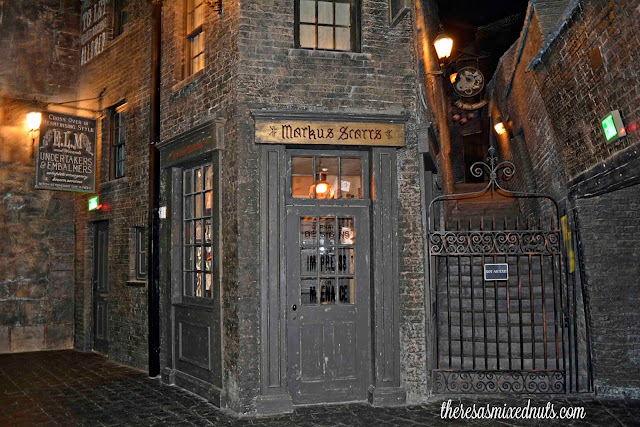 I had a chance to take quick visit at Diagon Alley last year on a blogging media trip. I really enjoyed the time there but didn't get to see near enough. I'd love to go back someday and take in all the sights and wonderment. My sister in law and mother in law LOVE Harry Potter. They would go nuts for this. Seriously one of my favorite Orlando places. The details are just amazing! 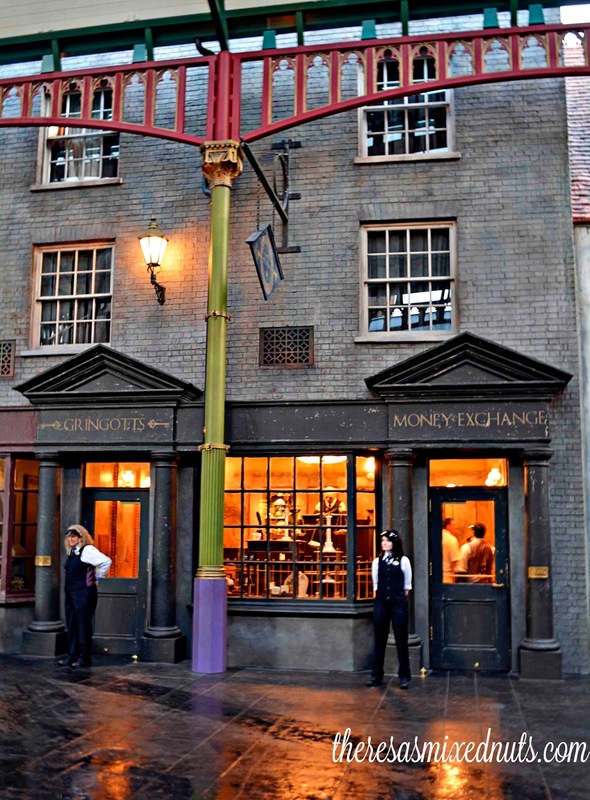 Diagon Alley seems like a really cool place. I can remember the first time I picked up the 1st HP book. I flipped through the pages and sat is back down. When I couldn't find anything else that interested me that day, I decided to give this little wizard a try. My book is a first edition and it wasn't until some months (maybe year) later that people really started to catch on. I'm glad I took a chance on an unknown author that day. Thanks for the tips about the extra loot needed for this adventure. 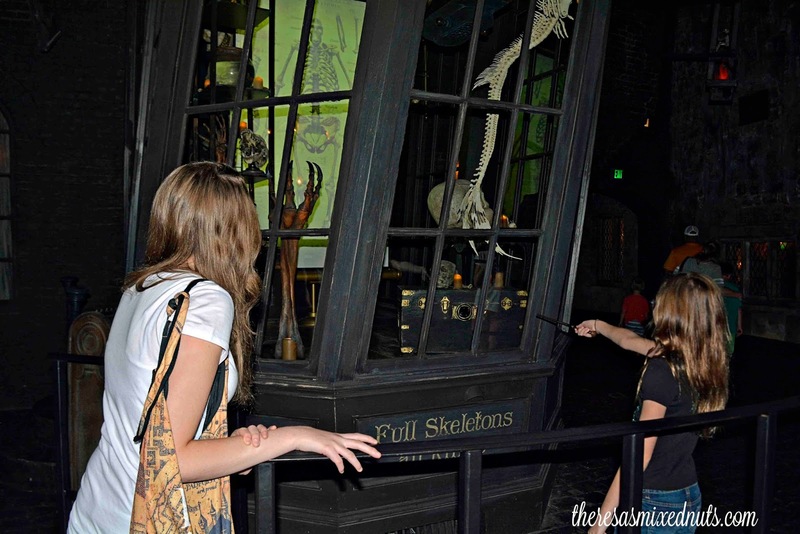 I'd want my own wand:) The pictures tell the story of how much fun you had. HOw fun is that?! I'm not a huge HP fan, but I still think this looks like fun! What a cool place visit. Not sure which I would like to visit first. waaaaaa that's super cool! Just like what I imagine. And I envy you really! I am a superfan of Harry Potter - the books not the movie. 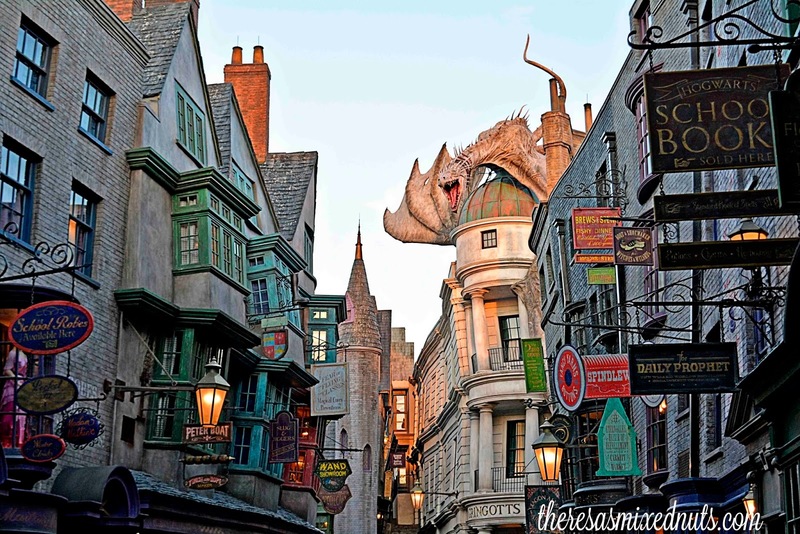 I hope I can visit Diagon Alley someday. 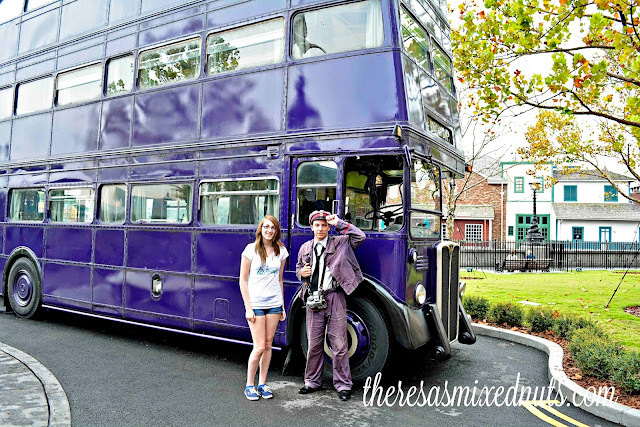 I am a HUGE Harry Potter fan and have been dying to visit the Wizarding World of Harry Potter. Your photos are amazing and make me want to go even more than I already did! It looks like your family had a wonderful time! It sounds like you and your family had so much fun! I would love to take our kids to experience this! 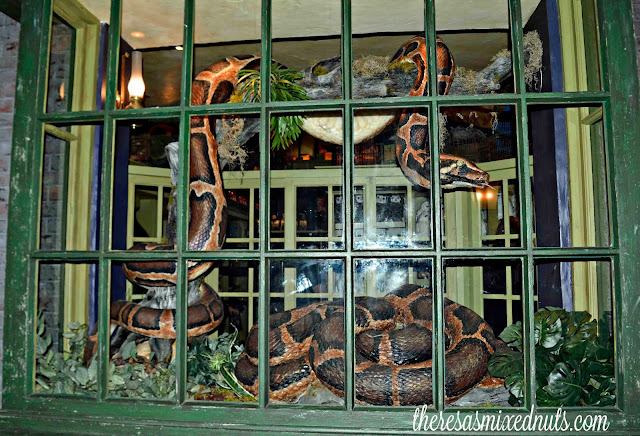 Diagon Alley looks like SO much fun! 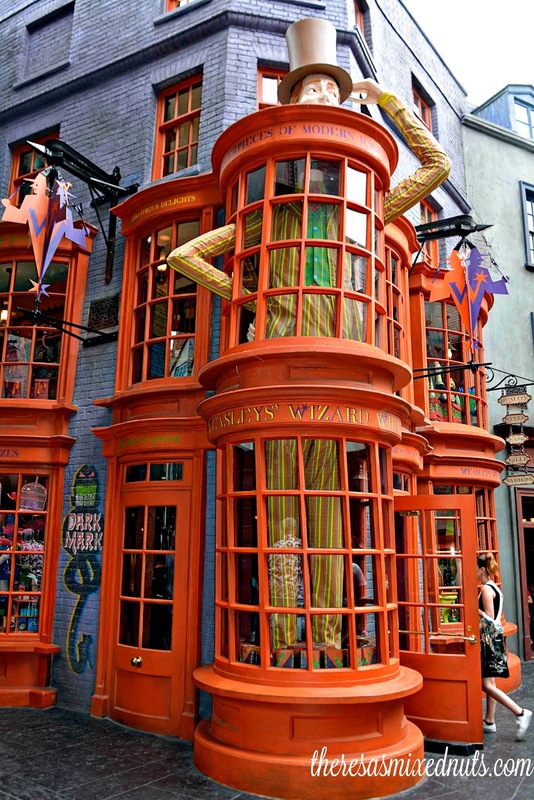 Having read all the Harry Potter books, I would be in heaven here! 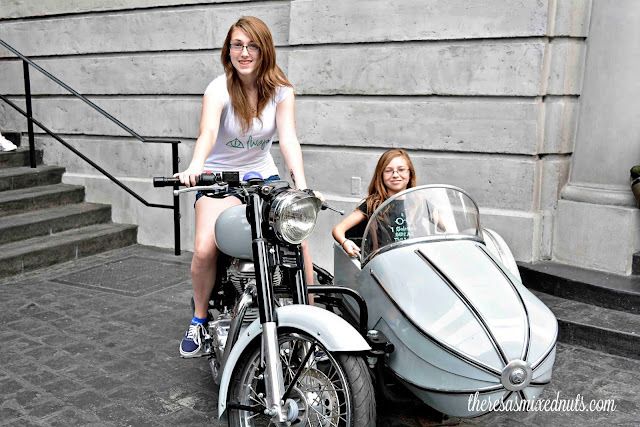 My kids are too little to know anything about HP, but I would be all over this! 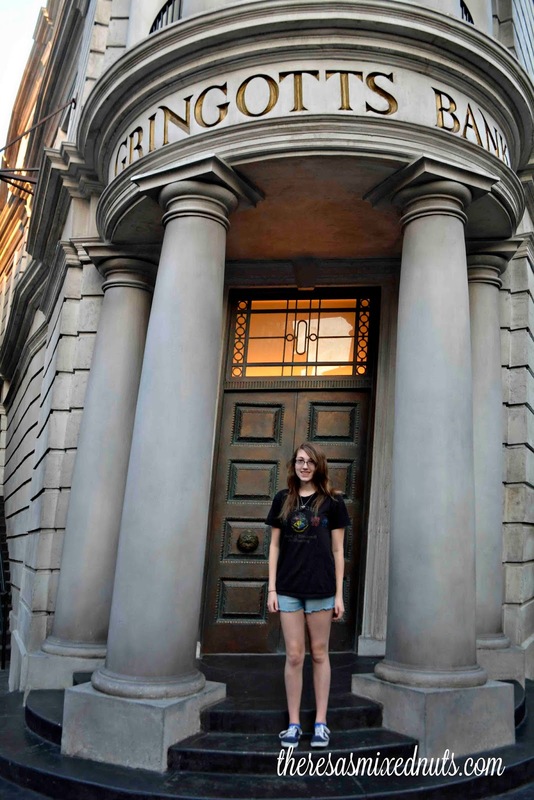 I'm the girl in the photo at the Gringotts Money Exchange. And I can tell you that the Gringotts Bank Notes ARE IN FACT a 1 for 1 exchange. $20US=$20 Bank Notes, and $10US=$10 Bank Notes. They work exactly like gift cards.